A unique folding roof system, which opens smoothly and effortlessly. Beautifully manufactured and remote control operated it is the strongest fabric roof in the market, tested up to wind speed 8. 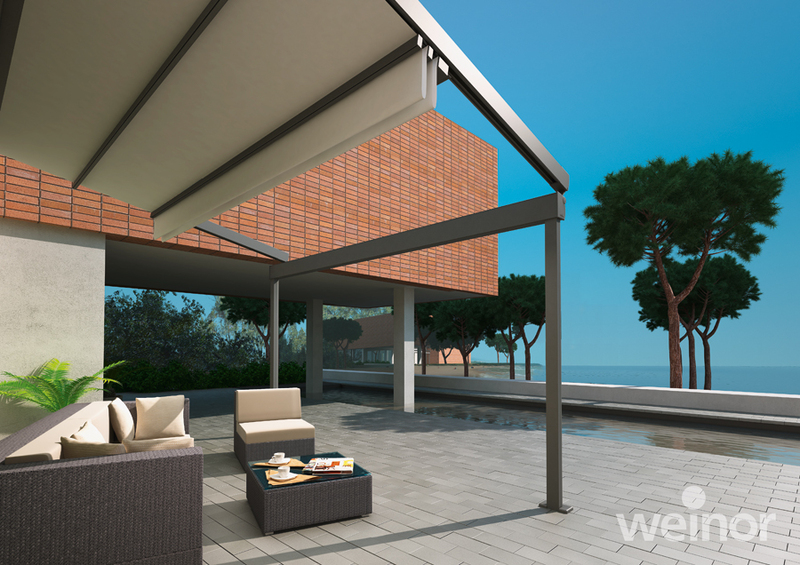 It is 100% waterproof, with in-built and hidden drainage which disperses of water at floor level via the front post. A benefit of this system is its flexibility to customize it. You can add fabric or perforated side screens to the system to fully enclose your area, which are also remote control operated. At the touch of a button the roof and sides can then open or close at your request. For the optimum extra you can also add glass elements to all three aspects with the availability of sliding glass doors, allowing you to completely open the area up should you choose! The super strong aluminum framework can be powder coated in a choice of 56 colours available as standard; or in fact any RAL colour outside of this for a small surcharge. 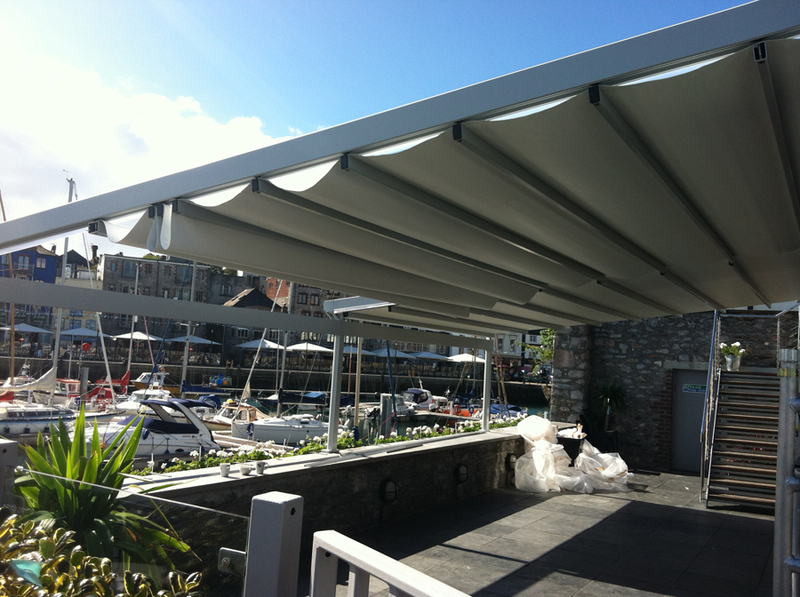 The Roof fabric is a specially designed triple layer PVC and is available in Cream or White only.